It’s not just peanuts and Cracker Jacks – or even grand slams – that brings folks to the ball field these days. In addition to stealing home and pitching no-hitters, today’s Major League players give the fans a lot to look at, especially when it comes to facial hair. Whether it’s a fantastic display of bushy beard or the makings of a magnificent moustache, MLB players seem to be taking their shaving (or lack thereof) habits as seriously as spring training. 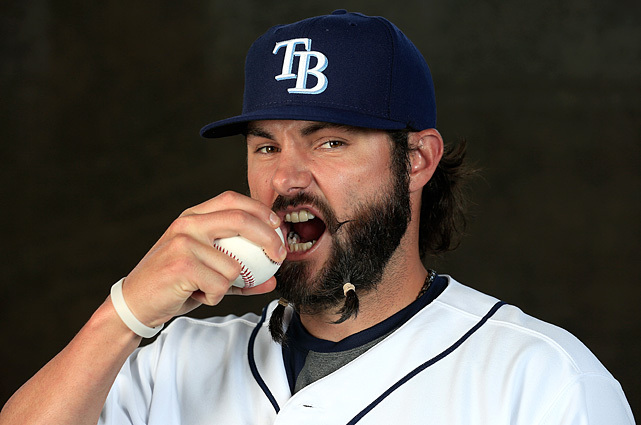 Here are 10 of the most hilarious, ludicrous and wonderful beards and brostaches you can find in the MLB. Even though this catcher turned pitcher has spent some time on the disabled list, his magnificent beardis always in top form and ready for action. 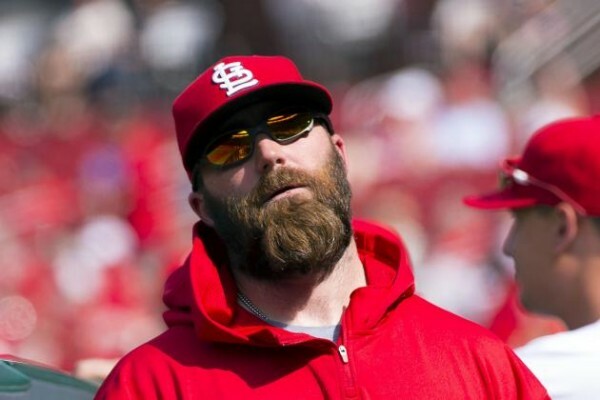 Jason Motte is known for being a closer on the mound, and with his own massive mound of man beard, it’s easy to see how his impressive whiskers add to the intimidation factor. But don’t let that thick growth fool you – Motte was selected by teammates to receive the Darryl Kile Good Guy Award last year, despite being stuck on the bench with a bum elbow. Talk about beards gone wild! This Boston Red Sox catcher doesn’t seem to have a problem letting nature take its course when it comes to the luxurious, if untamed, beard action sprouting from his presumably rugged chin. 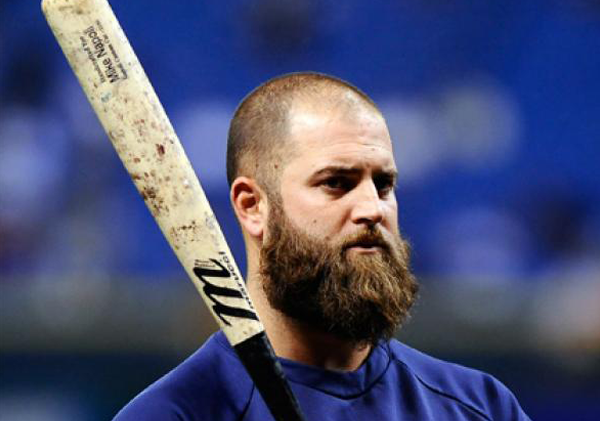 And Mike Napoli is quite proud of his beard-growing prowess, even calling out other players when their whiskers aren’t up to his own (albeit dubious) standards. This World Series champion leaves it all on his face – especially when it comes to his famed, Garibaldi style beard. 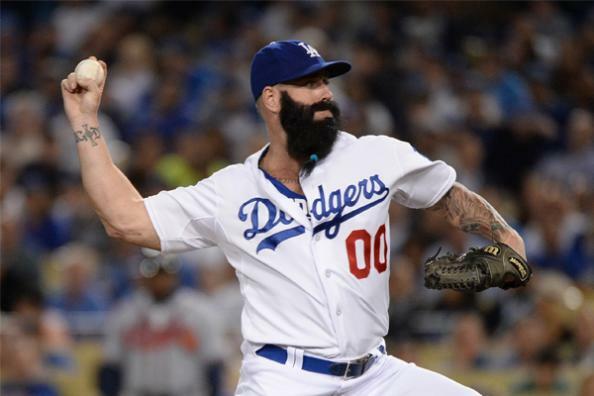 Although Brian Wilson’s bushy, ebony trademark brings to mind a style you once created playing with a Wooly Willy, there’s no doubt this flamboyant Dodgers relief pitcher puts in a lot more effort (including the odd dye job) to maintain this magnificent whiskered masterpiece. And if you’re afraid the beard might be taking on a life of its own, you probably don’t want to know it has its own Facebook page and Twitter account. Even this unkempt, shaggy beard can’t hide Josh Reddick’s oh-so-pretty eyes. 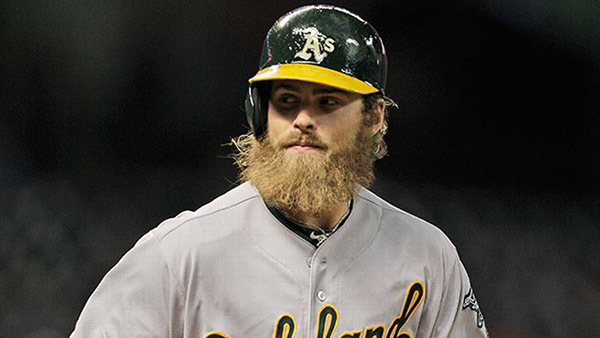 With an eye-beard combo like this, it seems like the A’s outfielder might have what it takes to lead his swooning followers into the great unknown. It’s not every ginger who can grow such an impressive – if messy – face forest, and Reddick definitely makes the most of it. Fortunately, all that bristle doesn’t get in the way of his playing. Reddick earned a Gold Glove thanks to an impressive 32 homers and 85 RBIs in his first season at Oakland. This beard means business. 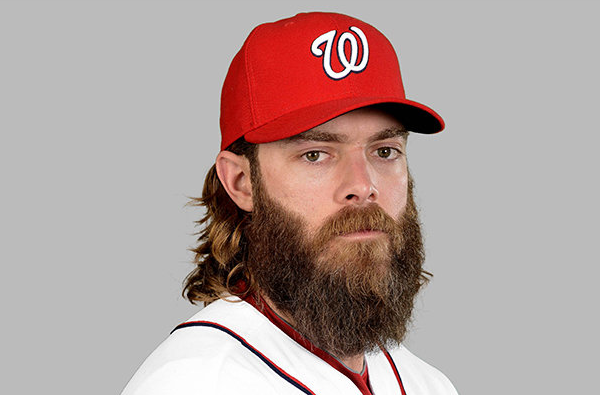 Werth’s thick, scraggly showing can hold its own with any beard in the Major League. Comprised of a dense thatch of sturdy whiskers, Werth’s trademark facial hair looks like something you could lose a few things in. But the right fielder brandishes his bushy beard with pride, even inspiring other players to give him a run for his money. Apparently size does matter, because a couple other players showed up for spring training with beards they hoped would go to lengths beyond the fantastic right fielder’s. Who says only pirates can adorn their beards with bands and baubles? Tampa Bay pitcher Josh Leuke flouts convention with his creatively configured chin bristles. Perhaps he’s avoiding comparison with some of the other impressive beards in the league by distracting us with those inverted devil horns held together with what look like plain, household rubber bands. While he gets an ‘A’ for effort, this bold statement would make a bigger splash if he took it all the way like Jack Sparrow and added some flair to this furry faux pas. All hail this cool, classic ‘stache and beard combo! Chicago Cubs pitcher Villanueva knows how to leave other manly facial fashionistas in the dust. Eschewing the Major League trend to go burly and bushy, this refined grooming definitely stands out on the mound. 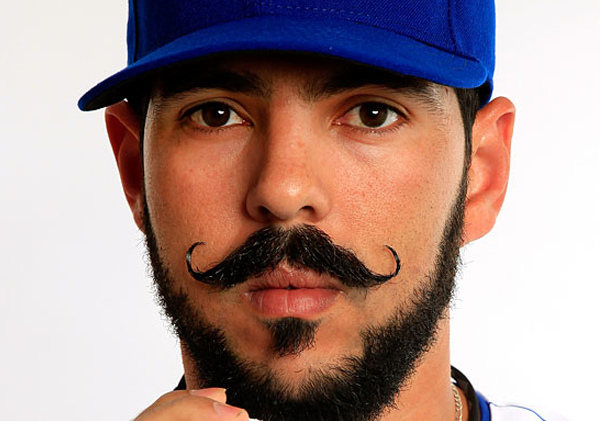 But Villanueva might want to be careful when rocking this waxed, curled moustache that could adorn either a villain or a hero – especially after a rough start to the season against the Cardinals last Saturday. 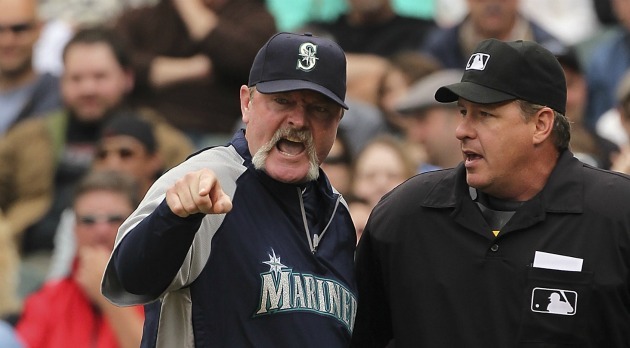 This former manager of the Seattle Mariners knows how to make a statement with his major brostache action. Wedge sported a distinctive white-tipped handlebar ‘stache throughout much of his career, but when push came to shove this dedicated manager was willing to make the ultimate sacrifice in a bid to turn around his club’s luck. After a 14-game losing streak in 2011, the magnificent moustache was shaved – although Wedge stated his real motivation was giving his players a much-needed laugh. Whoa – this furry cookie duster looks like it might be more at home atop a Harley or on the face of Hulk Hogan, rather than lurking behind home plate. 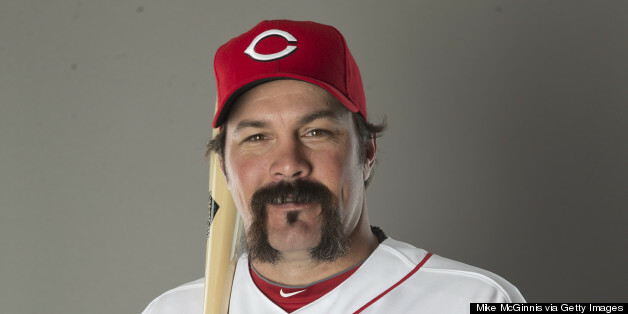 But catcher Corky Miller seems downright proud of the shaggy ‘stache that adorns his otherwise cuddly mug. And whether you love or loathe this brash display of facial hair growing prowess, there’s no question this is one brostache you don’t want to mess with. 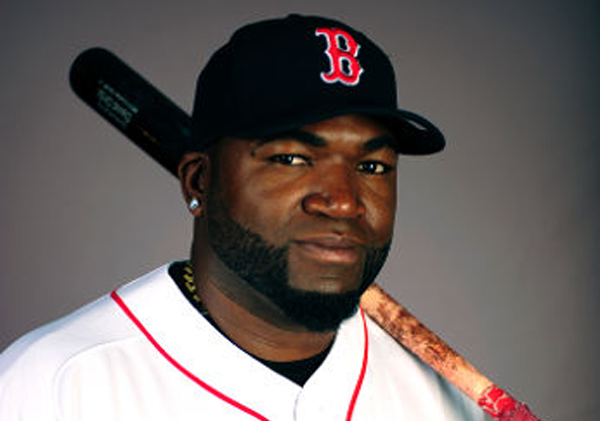 Taking a more artistic approach to beard styling, designated hitter David Ortiz certainly knocks it out of the park with his graphic display. Kept close and neat, this whisker wonder is reminiscent of the ornate beard worn by actor Wes Bentley in “The Hunger Games.” However, Ortiz manages to look a lot less like the bad guy in his sharply shaved manly masterpiece. Which beard or brostache wonder makes you want to shout “Play ball!”? 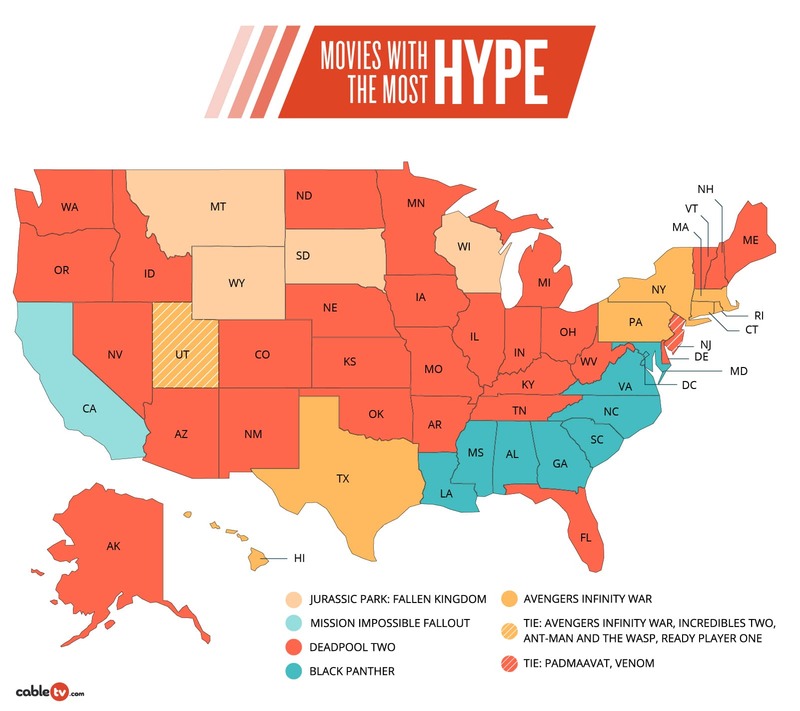 Is The CW Network the Reason Teens are Reading Again? A native of Salt Lake City, Ryann is a writer and full blown TV and pop culture junkie. Her all-time favorites include SNL, Mad Men, Game of Thrones… and a few she’d rather not mention.